﻿ PC and system Windows 10/8.1/7 Desktop Sidebar Gadgets. All free. If you are a real computer geek — and you are —, you probably want to monitor your computer's health in real-time. For this purpose we created System Monitor II Gadget. It displays the system health and important system data in real-time. It supports up to 40 cores, shows a lot of values, displays CPU and RAM usage, current CPU power consumption, CPU temperature (CoreTemp must be installed) and contains special PC control buttons. With System Monitor II you can see each value detailed and also includes a graph for each value. You have a perfect overview what is going on in your computer. It's very easy to customize and comes in 22 different languages. 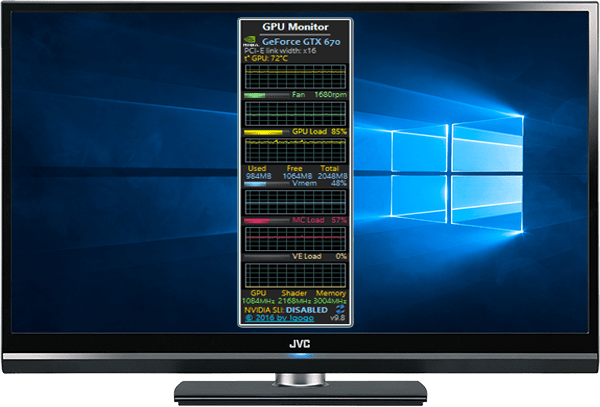 GPU Monitor is an easy-to-use Windows 10 sidebar gadget that let you observe the current GPU stats of your graphic card and provides a wide array of statistics straight on your desktop. It does not require any 3rd party applications. Fully customized. Support 21 different languages. 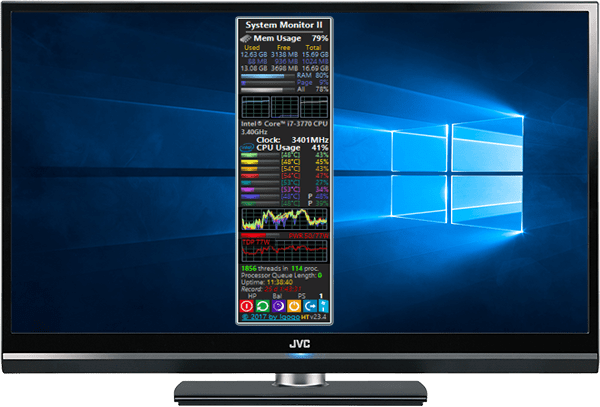 GPU Monitor the perfect tool for video card overclockers! This sidebar gadget is designed to show numerous useful details on the battery. It comes with a package of numerous preferences for customization to suit your picky appetite. Shifting for other apps to your battery details will never be this easy. The gadget's main frame displays a percent level and meter bar, together with the remaining time for the battery use, the battery status, current charge and the charging rate. It also comes with sound notifications for full battery mode and critical levels. This sidebar gadget only uses a small amount of memory, that is why it does not hurt your notebook or laptop. It delivers accurate and on-time information and does not trigger errors, hang or rash. It also includes flyout features that display all of your battery information. Support 21 different languages. 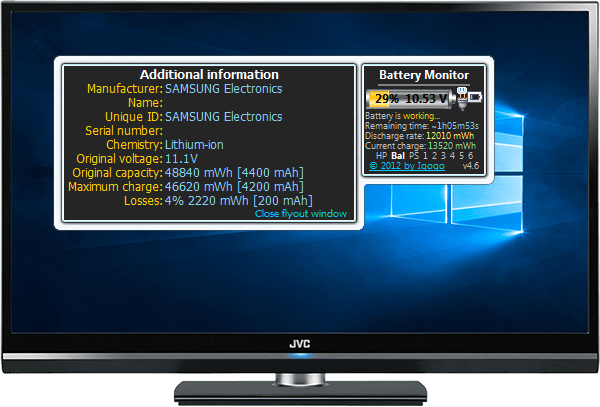 It is important to know what goes on inside your computer — and for hard drives (physical and logical), you have the amazing Drives Monitor! While simply named, this handy Windows gadget has a lot more bite. Place it on your desktop, and marvel at its per-drive monitoring interface. Each drive has a storage space, file type, and read/write throughput display, which all update in real time. Add in a useful histogram, and Drives Monitor becomes the ultimate information hub about your computer’s storage! Gadget includes an 'Eject' button that allows you to safely release the USB device. If the free space is very low, gadget indicate this issue. Furthermore, Disk Monitor shows disks temperature. Support 18 different languages. Do you want to know what goes on inside your enigmatic computer? 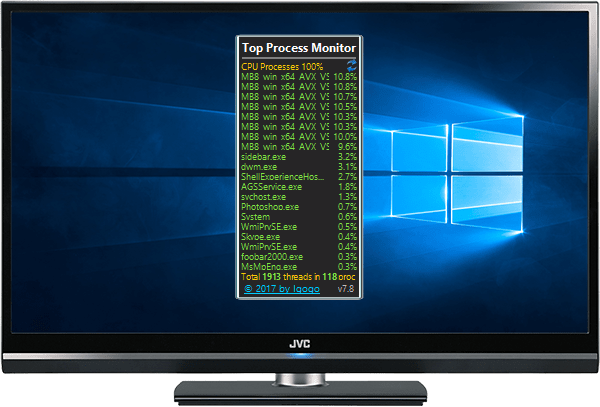 Just use Top Process Monitor now and you get to see what is consuming the most in your computer like CPU, memory (percent ok bytes), IO, page file and more. This simple Windows 10 gadget lets you check out what makes your computer use the most resources. Furthermore, if you want, gadget can highlight processes that use extremely much resources. No third party application needed, can be resized and settings saved. This gadget is simple, easy to use and practical. Support 19 different languages. This Windows 10 sidebar gadget is designed to offer fast access to information and frequently used functions. 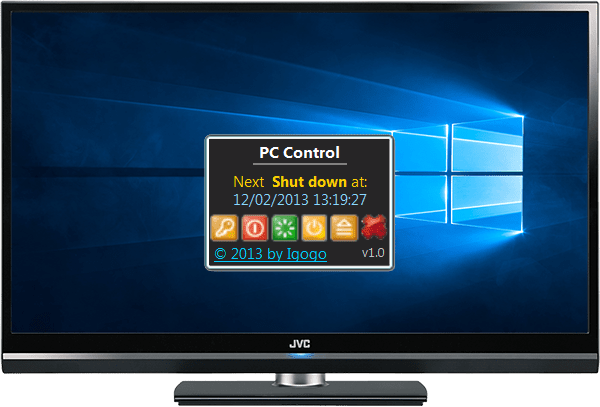 Try one-click log off, hibernation, shutdown, standby or restart of your computer with the help of PC Control. Also, if you want, you can set up specific date/time for any function. 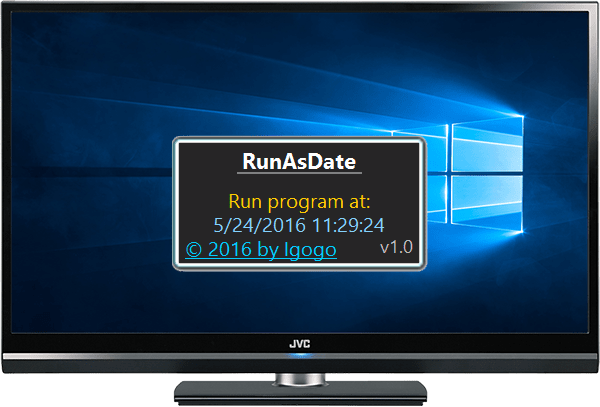 RunAsDate is a Windows 10 gadget that can help you schedule your computer to launch an application at a given time quickly and conveniently. You just need to provide the desired program, which include date and time, application path and parameters (optional).